摘要: In 2018, the Fintech industry has become hot industry favored by global capital market and has stepped into Era 3.0. Global fin-tech investment has experienced rapid growth in 2014 and reached its peak in 2015. In 2015, the number of investments in the global fin-tech division reached 1,255. After 2015, the enthusiasm for investment in fin-tech in the global capital market has weakened. In terms of the regional distribution of global investment, European ranks first, the amount of investments in which reachees to US$26 billion, while Asia and America are ranked behind with the investments of US$16.8 billion and US$14.8 billion respectively. iiMedia Research consulting analyst believes that, with the better application of Internet, AI, big data and other technologies, the development of fin-tech enabling traditional financial business will continue to maintain a rapid state, and more vertical fields of fin-tech will mature in the future. However, the balance between efficiency and security is crucial for the development of fin-tech. They are equally important but contradictory. Therefore, enterprises need to strengthen the reserves of compound talents and technology to achieve technological breakthrough, which can finally promote the further development of fin-tech. iiMedia Research consulting analyst believes that, the development of fin-tech will be a continuous process. During its development, some industries and enterprises are prone to aggressive problems. While the financial industry is a key area for national development, the regulation of the fin-tech market will be more stringent. At present, the development of RegTech is attracting the attention of the government and industry. The application RegTech, which can improve the efficiency of compliance regulation in a larger scope, will be strengthened in the future. The application of fin-tech needs to be perfected with the latest technologies. The key to the continuous advancement of fin-tech is the comprehensive utilization of different technologies. With the application of various technologies, the intelligent degree of financial products will be further enhanced. Through intelligent technology processing, adjustment based on user data and market status, it will provide enterprises and users with the optimal asset and wealth management portfolio. iiMedia Research consulting analyst believes that, the major advantage of the promotion of fin-tech over traditional financial services is that it can cover more users and enterprises. By lowering the standard of credit granting and simplifying the service process, it can effectively promote the development of financial inclusion. At present, fin-tech enterprises, especially the Internet financial enterprises, mainly achieve inclusive through consumer finance provided for consumers. With the deepening of cooperation between such enterprises and traditional financial institutions, fin-tech services will benefit more SMEs in the future, and achieve general inclusive. iiMedia Research consulting analyst believes that, fin-tech enterprises will strengthen the cooperation with traditional financial institutions in the future for their development. On the one hand, the pressure of capitals for fin-tech enterprises will be reduced, on the other hand, it can also promote the transformation of traditional financial institutions. With the deepening cooperation between them, the trend of OpenBanking becomes more obvious. Fin-tech products will be more diversified through financial data sharing. At present, fin-tech enterprises provide financial services more through online channels, which effectively promotes financial services to cover more users. However, they are also more exposed to the operation risks. Improving the risk management ability is thus very important to the enterprises. In the future, enterprises need to conduct credit investigation from more dimensions, and evaluating the risks by considering the consumption and financial credits records. The improvement of risk management ability requires enterprises to have strong big data technology capability, and it will become the focus of enterprises competition. iiMedia Research consulting analyst believes that, fin-tech products will be more diversified in the future. Combining with specific consumption scenarios can better meet the users’ characteristic needs and improve the efficiency of users obtaining. Fin-tech products will be more integrated with specific scenarios to serve the users in the future. Platform-based Fin-tech enterprises from industries like e-commerce and logistics will have greater advantages in integrating products with scenarios. These platforms can provide specific products through concrete scenarios such as consumer consumption or supply chain logistics operation, and thus have more advantages in market development. The application of fin-tech has further released the development potential of the financial industry. The huge market space has attracted more enterprises. Traditional financial institutions, Internet financial enterprises, Internet enterprises, etc. have joined in one after another, which intensifies the market competition. Fin-tech enterprises need to further improve their core competence to develop in the fierce market competition environment. iiMedia Research consulting analyst believes that, fin-tech products involve fields of payment, wealth management, investment, etc., and penetrate into all aspects of users’ daily life. 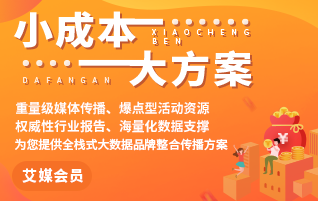 Its application will involve large amount of users’ private information, and will seriously affect the users once the hidden problems in Internet operation erupt. Therefore, fin-tech enterprises need to further strengthen user information security, build early warning mechanism and improve the technology of information security.